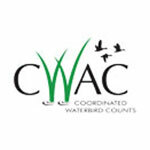 The objective of CWAC is to monitor South Africa’s water bird populations and the conditions of the wetlands which are important for waterbirds. 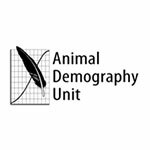 More information on this important programme can be found on the University of Cape Town’s Animal Demography Unit’s website. 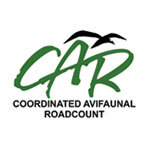 The Animal Demography Unit (ADU) launched the Coordinated Waterbird Counts (CWAC) project in 1992 as part South Africa’s commitment to International waterbird conservation. 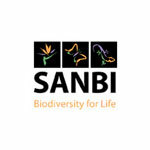 This is being done by means of a programme of regular mid-summer and mid-winter censuses at a large number of South African wetlands. Regular six-monthly counts are regarded as a minimum standard; however it is recommended that counters survey their wetlands on a more regular basis as this provides more accurate data. All the counts are conducted by volunteers; people and organisations with a passion for waterbird conservation. 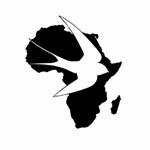 It is one of the largest and most successful citizen science programmes in Africa, providing much needed data for waterbird conservation around the world. Currently the project regularly monitors over 400 wetlands around the country, and furthermore curates waterbird data for over 600 sites. The Wits Bird Club organises and manages counts at four different CWAC sites – namely Rolfe’s Pan (Gauteng – 26°10’02.00”S; 28°13’06.00”E), Elandsvlei (Gauteng – 25°59’42.00”S; 28°27’43.20”E), Nysvley (Limpopo – 24°38’36.00”S; 28°41’47.80”E) and Vaalkop Dam (North West – 25°18’34.00”S; 27°28’04.00”E). 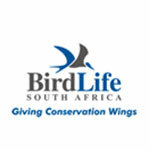 The first record of the Wits Bird Club involvement in CWAC was at Nylsvley in July 1998 when Boudewyn van der Lecq headed a team of volunteers. Koos van Dÿk headed the clubs involvement in CWAC surveys in the summer of 2001 and it was his tireless and dedicated involvement through nearly 10 years of service that resulted in CWAC surveys becoming a core conservation effort of the club. Barbi Forsyth took over the reins of the clubs CWAC portfolio 2009. Currently the Rolfe’s Pan and Elandsvlei CWAC counts are organised and managed by the Wits Bird Club’s East Rand Branch while the while the club itself champions the Vaalkop Dam CWAC survey. In addition the Wits Bird Club have instigated some CWAC surveys at Chrissiesmeer (Mpumalanga – 26°16’52.00”S; 30°12’47.00”E) so as to assist BirdLife SA and the Endangered Wildlife Trust with the Chrissiesmeer Ramsar application (Ramsar is the Convention on Wetlands of International Importance, especially as Waterfowl Habitat). Vaalkop Dam from a boat and on foot. The goal of CWAC for the ADU is for the surveys “to act as an effective long-term water bird monitoring tool, benefitting conservation efforts worldwide.” All data collected from each CWAC survey is submitted to the ADU at The Wits Bird Club is privileged and proud to be a part of this conservation initiative of the ADU and aspires to continue to assist them in the future. 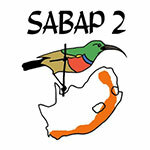 The results are submitted to the ADU at UCT who are the custodians of the data which they analyse to plot any avian population trends which may be identified from the data.